The theme of the joint ISGNSS 2014 and Korea GNSS Society (KGS) Conference, is “Cloud PNT in IoT.” It will be held from October 21 through 24 at the International Convention Center Jeju, Jeju Island, Korea. The first conference in the ISGNSS series was held in 1999 in Japan. The KGS event (previously known as the GNSS Workshop) has been held since 1994, when Korea’s GPS Technology Council (now GNSS) was established. The Chair of ISGNSS 2014 is Prof. Chansik Park, Chungbuk National University, Korea. The Chair of the KGS Conference is Dr. Sanguk Lee, Electronics and Telecommunications Research Institute (ETRI), Korea. The ISGNSS International Program Committee Chair and General Chair of ISGNSS 2014 is Prof. Sang Jeong Lee, the President of KGS and fellow General Chair of ISGNSS 2014 is Dr. Wan Sik Choi. 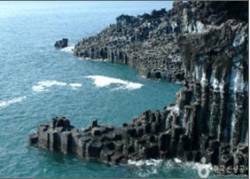 Jeju island, the venue of ISGNSS, was designated as a Biosphere Reserve in 2002, World Natural Heritage in 2007, and Global Geopark in 2010, making the sub-tropical island the only place to receive UNESCO designations in all three natural sciences.